The family hotel Egger (Familienhotel Egger) is situated at the edge of the place Hinterglemm. The hotel is well prepared to deal with a lot of children. Besides the pools there are even several rooms dedicated for children only. I used my stay at the hotel for a ride with one of the numerous cable cars nearby and for a visit of a high rope course in an area nearby named Talschluss. For these rides I used a pass called Joker Card which is included in the room rate for each guest during summer. 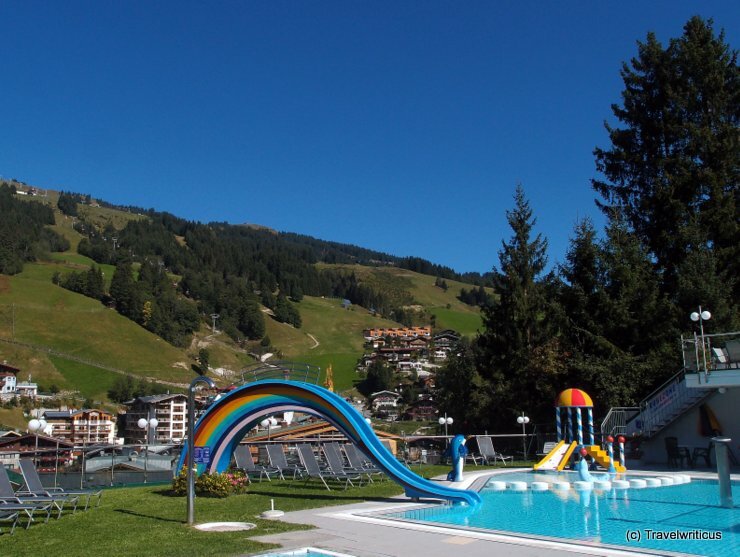 This entry was posted in Accommodations, Hotels and tagged Austria, Hinterglemm, Saalbach-Hinterglemm, Salzburg by Travelwriticus. Bookmark the permalink.